If you don’t know what hairstyle is suitable for your face shape, don’t worry because we will help you with this. If you have an oval face, we congratulate you for being a pretty lucky guy as this kind of face shape can go well with many different hairstyles. All you need is opt for a hairstyle which is able to draw attention to the best features of your face. 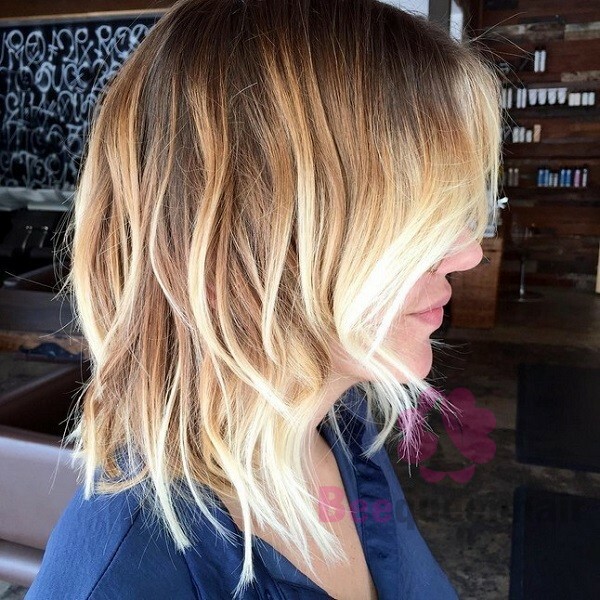 Not too messy but not too flat, this tousled bob with highlights will be the best choice when you want a casual look. The golden highlights from top to bottom add a little bit of contrast. Metallic hair color is very trendy. It looks good on pixie cuts. 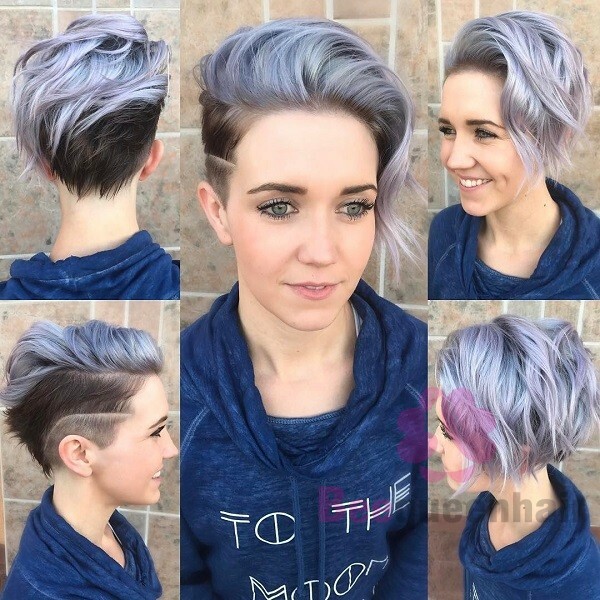 Besides metallic purple hair color, you can think of rocking metallic pearl gray color, metallic silver color, metallic blue color and metallic opal color. If your face is round, you should avoid hairstyles with rounded shapes. And if you would like to have bangs, you should go for layered bangs instead of blunt bangs to elongate your face length. 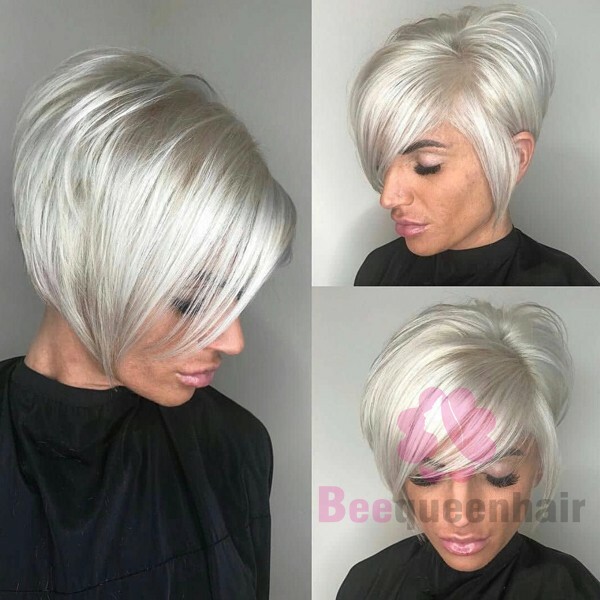 When hairstylists are asked to slim down their clients’ faces, V-cut outgrown pixie is always one of the hairstyles that they think of first. While the V-cut makes your face look less round, the side-swept bangs help to keep the hairstyle ladylike. Hitting right at the shoulders, this cut is an ideal length to add height to the look. It will certainly grab attention from everyone who sees it. A heart-shaped face is considered to be the envy of many women as they can choose almost any hairstyle. The heart-shaped face is often associated with a wide forehead but a narrow chic, so it is necessary to choose a hairstyle which can shift the attention to the cheeks. Why don’t you highlight your heart-shaped face with a textured choppy bob hairstyle? The layers flatter the chin slightly and frame your heart-shaped face gently. 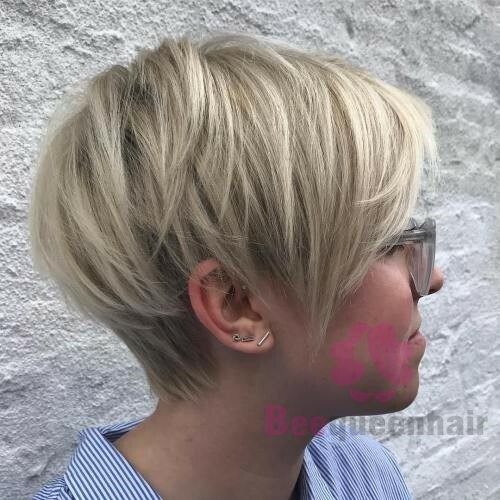 This bob ends right at the chin and shifts the attention to your cheekbones instead of your narrow chin. Therefore, a balanced look is created. It may be tricky for ladies with a square face to find a suitable hairstyle because their forehead, their cheekbones and their jaw line seem to be all of the same width. Let’s browse some of the following options. A tousled wavy bob hairstyle is always among the most glamorous haircuts for people with a square face. The short waves will soften the sharp edges of the face. The fiery wispy curls not only add volume to the hair but also make your face more oval. Hope that the list above can help you to find out the best hairstyle for your face shape.